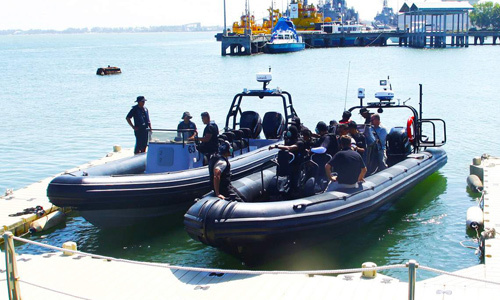 Ocean Craft Marine (OCM) Vice President Mr. Todd Salus recently completed new boat delivery and training to the Royal Brunei Police Force (RBPF) at their facilities located outside the Brunei capital city of Bandar Seri Begawan. 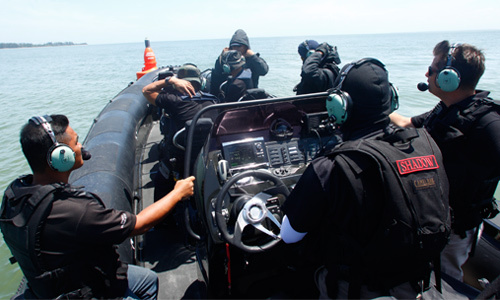 The RBPF received a highly customized 9.5 meter RHIB with shock-mitigating seating for their tactical team. Mr. Salus completed four days of intensive training both in the classroom and underway on the South China Sea to ensure the RBPF Mariners were fully comfortable on their new craft. © 2018 Ocean Craft Marine. All Rights Reserved.